Famous Birthdays - Find out who else was born on your birthday! 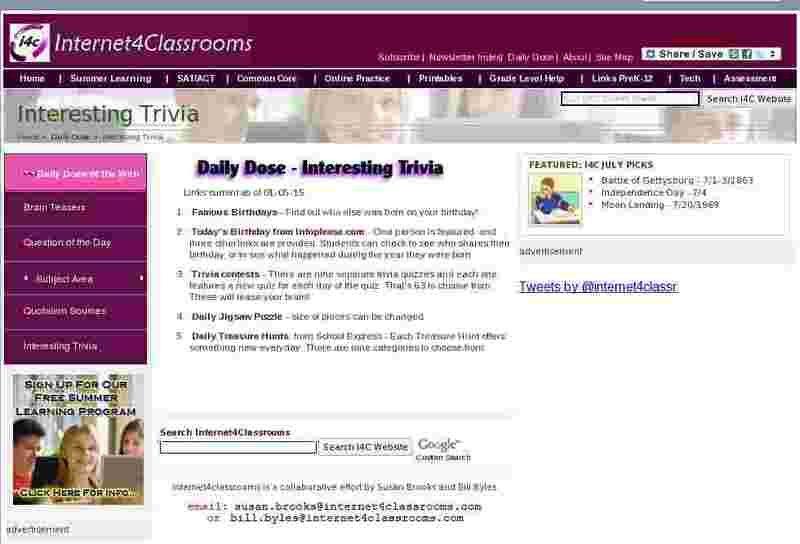 Trivia contests - There are nine separate trivia quizzes and each one features a new quiz for each day of the quiz. That's 63 to choose from. These will tease your brain! Daily Treasure Hunts from School Express - Each Treasure Hunt offers something new everyday. There are nine categories to choose from.